She has been a lot of different things in my lifetime: my pastor’s daughter, my teacher, and my friend. As long as I’ve known her, I’ve never heard her say a bad word about anyone. She has the sweetest, most gentle spirit, and there’s no doubt that she loves the Lord. She’s also a very talented photographer. We had the most fun doing these photos in downtown Belmont, and it’s so special to have these pictures from our first year of marriage in the little town we have grown to love so much. She even hand delivered my photos to my mailbox in a handmade paper box! Seriously, the heart she puts into her work is precious! When I was growing up, this was one of my Momma’s go-to recipes for week night dinners, and now that I have my own kitchen, I can see why! It’s so fast, easy, and delicious! The prep time is only about 10 minutes, and the chicken only has to bake for 25 minutes, so it’s perfect if you’re tying to hurry and get dinner on the table. Note: You don’t have to use sour cream and onion chips. This recipe is also great with Ranch Doritos chips, or really anything flavorful. Next, line a cookie sheet with tin foil (which makes for super easy clean up). Put the sour cream and onion potato chips in a gallon size ziploc bag and pound with your fist until they are completely crushed. Spoon some mayonnaise onto a plate and drag your thawed chicken through it. 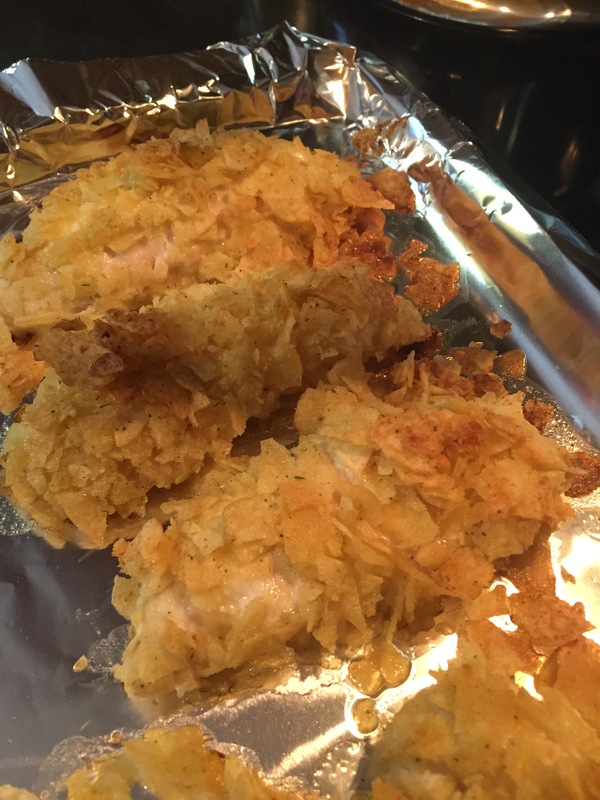 Next, one at a time, drop the mayonnaise coated chicken into the ziploc bag and shake until they are completely covered in crushed potato chips. 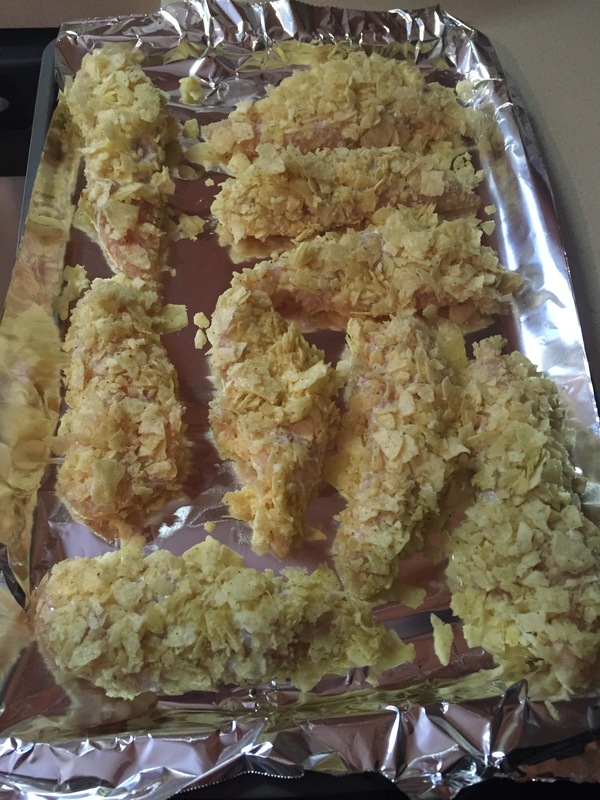 Bake at 350 for 25 minutes and your chicken should be a delicious golden brown. The flavors of the potato chips seep down into the chicken and the mayonnaise makes it so tender and juicy. YUM! Seriously, this will be your new favorite chicken dish. Try it! I served it with mashed potatoes and green beans, but it’s great with broccoli and macaroni and cheese, too! Whew! Another fun-filled, jam-packed weekend has passed (too quickly, as always). Late summer is one of my favorite times of year because it just brings back so many treasured memories for me. 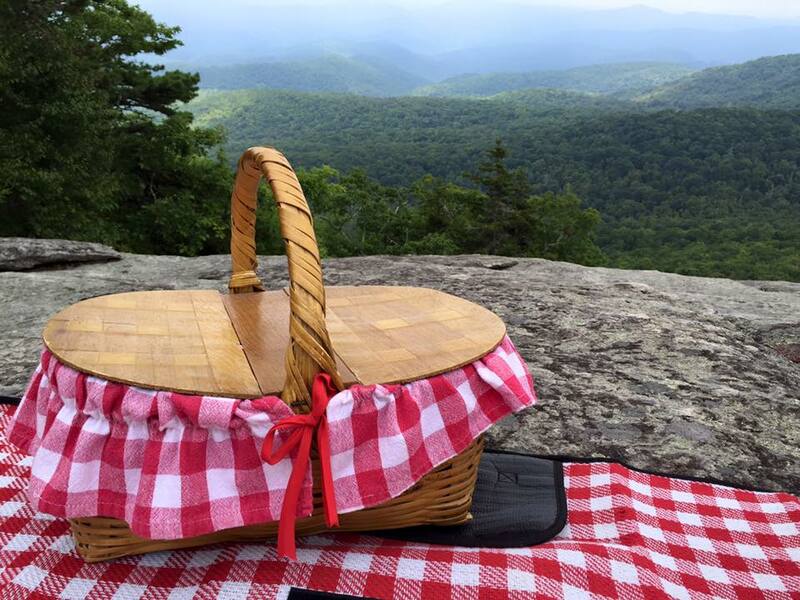 This weekend, we had a blast hiking on the Blue Ridge Parkway. 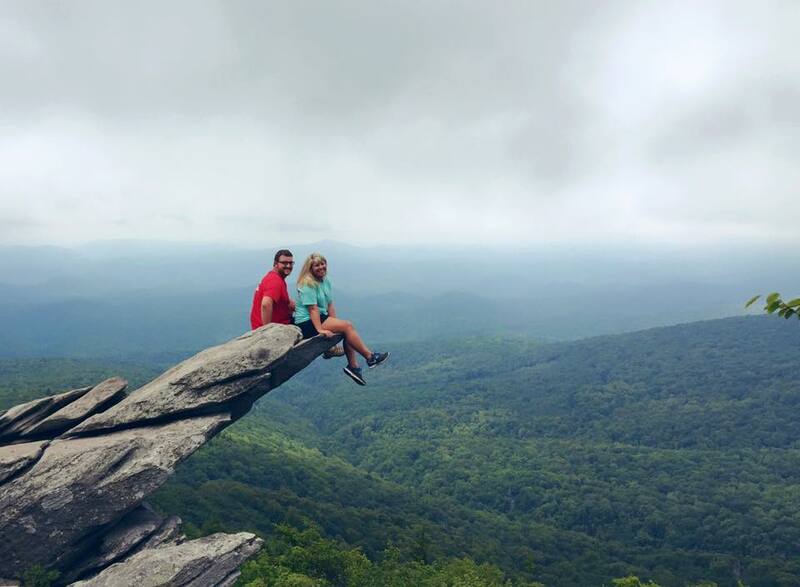 We love any chance we get to show friends around Boone, N.C.
On Saturday morning, we packed a picnic, headed out early, and hiked up to a few of our favorite spots. Then, on Sunday, we had our family reunion. 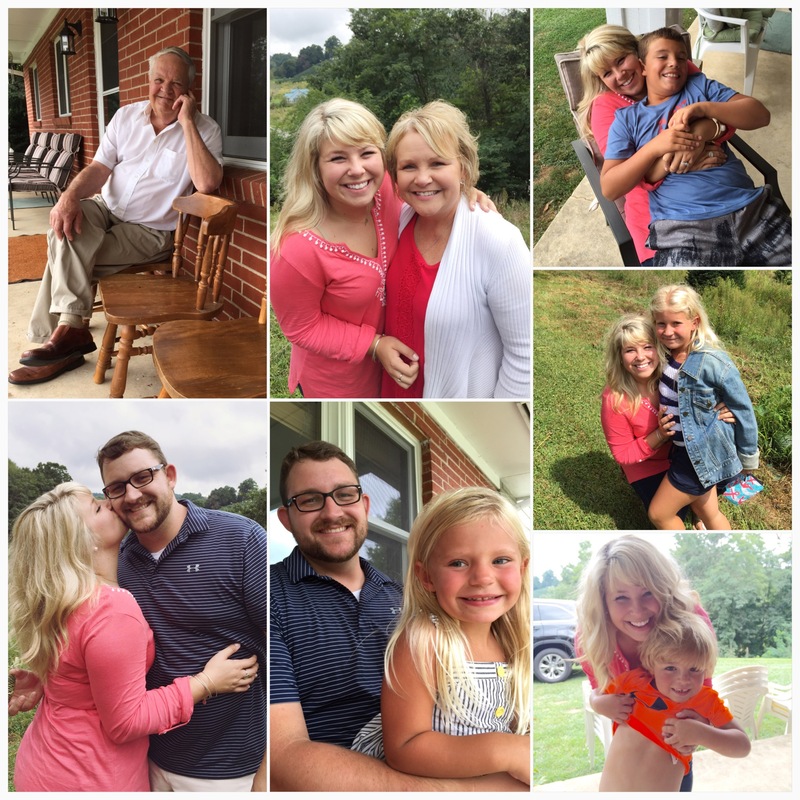 On the 4th Sunday of every August, my family gathers together at my great uncle’s house in the mountains on a Christmas tree farm surrounded by beauty and fragrant trees. 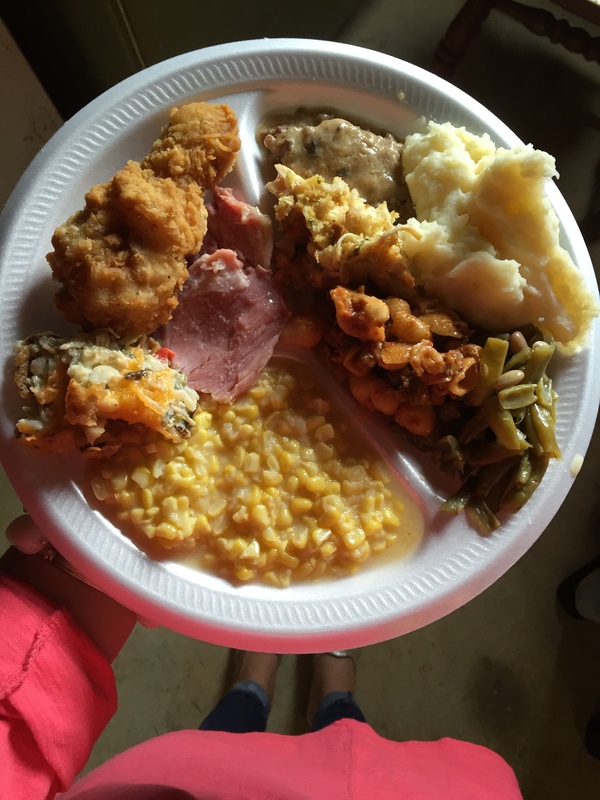 It’s not a big fancy house, but it’s filled with so much love and the potluck lunch is always good old southern favorites like creamed corn, biscuits, and chicken and dumplins. This year was our first year without my grandma, the oldest of the 5 sisters, and we missed her laughter and contagious spirit, because without her it just feels like we aren’t complete but I’m so thankful for the love of tradition she instilled in me, for my family who still makes days like this happen, and for the chance to all be together. Hope ya’ll had a great weekend, too! I love pretty cups. I don’t know why, but I seem to always find a reason to buy new ones, no matter how hard it gets to find cabinet space for them. Tervis tumblers are some of my favorite cups to drink coffee out of on the go, and I take one with me every day on my way to work. Unfortunately, when you drink tea or coffee out of a clear cup like this, a film develops over time and makes your cup look grimy, no matter how much or how often you clean it. That’s where my review of Tervis’ Guarantee Replacement comes in. I was a little skeptical of it at first, but I received my new cup in the mail today and couldn’t be happier with the process. I called their customer service number before submitting my request for replacement, just to make sure my cup’s “damage” qualified for replacement, which it did. The process is so easy! If your cup has a grungy film like mine did (I wish I had a picture, but I don’t), it’s cracked, the seal is not functioning properly, it’s been distorted by heat, or the design malfunctions, you can have your Tervis tumbler replaced for free! All you have to pay for is the postage fee to return it to their warehouse. If you fill out the Guarantee Replacement Form online, print it out, and send it with your damaged cup, you’ll have a brand new one in your hands in about 3-4 weeks. You can send it in a bubble envelope, and it only cost me about $3 to mail. Because the cup I returned was part of the Fiesta Tervis collection, I had to choose the design I wanted as my replacement cup from one of the Fiesta options, but there were new designs available since I got my cup four years ago, and I loved being able to choose a new, more updated design. Please note: This is not a sponsored post, I just wanted to share because it was such a positive experience and I love the company for both their quality and service. That’s the instant he stole my heart. To some people, I know it sounds silly, but this little guy has brought so much joy and healing to my heart. 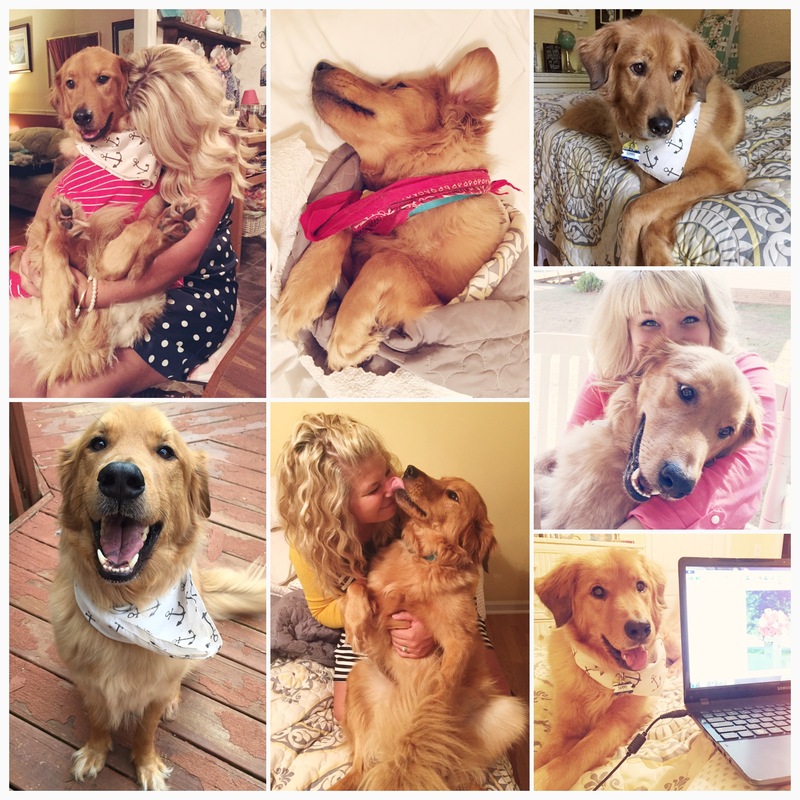 He is the sweetest dog I’ve ever met, and would sit on my lap all day long if I let him (which I would if I could). He follows me around the house, watches every move I make, and is always so excited to see me at the end of a long, hard day. I got my love for animals from my grandma. I can remember standing in her kitchen, helping her make peanut butter sandwiches for the squirrels in her backyard, making homemade humming bird food for her hanging feeders on her wrap around porch, and staring into the pool of Otters at Grandfather Mountain for what seemed like forever, because she and I could have watched them all day. She did get to briefly meet Sam when she was very sick, but I know if she was still here today, she would love him just as much as I do. God protecting us or asking us to wait for His best? This is a question that I think every Christian faces at some point in their life, if not all the time (like me). Now, I’m in no way claiming that I have this all figured out, because I definitely do not, but I have learned a lot lately and today, I want to share my heart on the matter with you. There is a very special place in my heart for Haiti. I had wanted to go for a long time before God opened the door for me to go for the first time in 2012. My first trip was overwhelming and eye-opening, but it was really my second trip that changed my life. Instead of going with no idea what to expect and spending the majority of the time “breaking down walls,” or what you might call getting to know the people, I arrived in Jacmel for the second time to friends, having earned their trust, and knowing (pretty much) what my time there would be like. This December is my next trip to Haiti, and although I can hardly wait to be back on Haitian soil, it has been a very rocky emotional roller coaster leading up to it to say the least. I feel called to go, no question. I want to go, no question. But, somewhere, deep within my heart, I’ve kind of thought in the back of my mind for several months that I wasn’t actually going to go. I’ve thought that something isn’t quite right. I’ve focused on reasons why I shouldn’t go. But here’s the key (and this was only revealed to me after prayer and seeking lots of Godly council)- if God is the one speaking to you, warning you, protecting you – He is most likely not going to do it through dissension and hurt feelings. I was allowing unforgiveness, frustration with lack of leadership, and sensitivity to distract me from the whole reason I’m going to Haiti in the first place (which is for Jesus). Instead of remembering that if God calls me, He will equip me, I was too busy thinking about what so-and-so did that made me mad, or how so-and-so left me out, or what so-and-so said that hurt my feelings. None of that matters. All that matters is my obedience to God, and that means tunnel vision. Not looking to the right, not looking to the left, but simply focused on the task God has set before me. Obedience to God is a prize. It’s so clear to me now, that this lack of confidence and abundance of doubt came straight from Satan. John 10:10 says that “the thief comes to steal, kill, and destroy” and that’s exactly what he was trying to do to me. 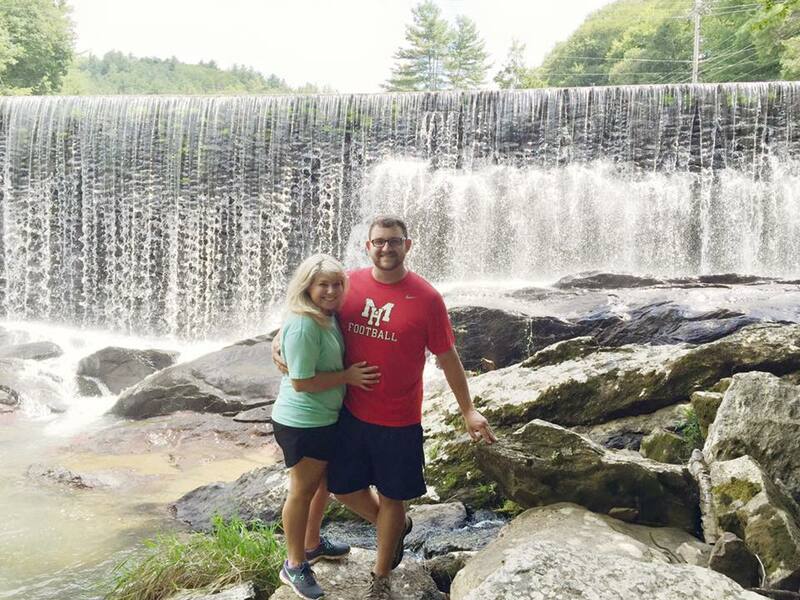 He was trying to steal my passion for missions, he was trying to kill my joy, and he was trying to destroy my desire to obey the call God has placed on my life. He filled me with such a feeling of unworthiness and lack of zeal for the adventure of service set before me. That’s not God. Jesus calls us to live an abundant life, and He loves us too much for this kind of confusion and hurt to ever come from Him. I hope that if you are going through a similar struggle, this short little glimpse into what God’s laid on my heart has helped you and reminded you of His abounding love for us. You’re loved more than you’ll ever know by Someone who died to know you. Keep your eyes on the prize. 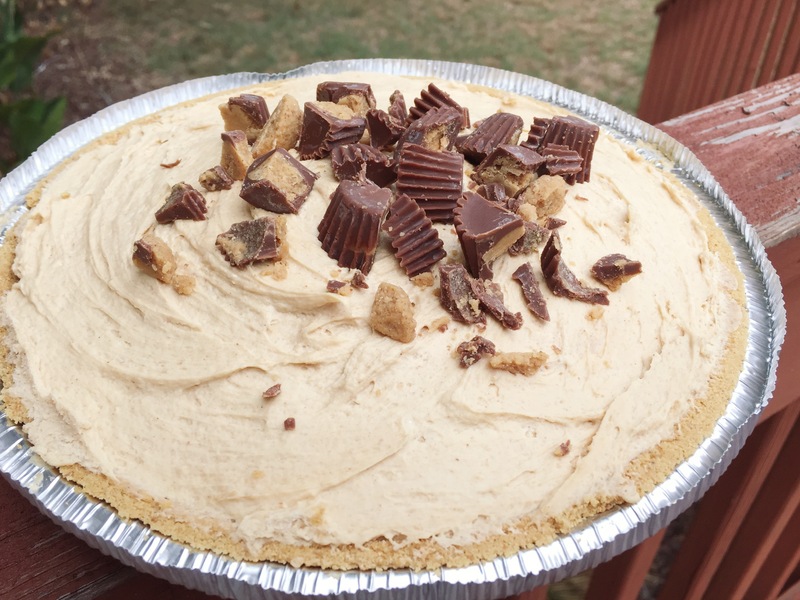 My husband’s favorite dessert of all time is peanut butter pie, so it was only fitting that I find a recipe early on in our marriage that he loves so I can make it for him through the years. I hope I’m making this same pie for him when we’re in our 80’s, partly because I think he’s the dreamiest, and partly because this pie is just that good. First, make sure that your cream cheese is at room temperature. This is very important to avoid lumps. Next, using your mixer, combine the cream cheese and sugar until well blended. Add the peanut butter and vanilla to the mixer until all 4 ingredients are well blended. Then, remove the bowl from the mixer and gently fold in the whipped topping, being careful not to deflate it too much, but still making sure it is well incorporated into the mixture. Using a spoon or rubber spatula, transfer the fluffy mixture into the pie crust and top with chopped Reese’s cups. Freeze for one hour, then refrigerate until just before serving. 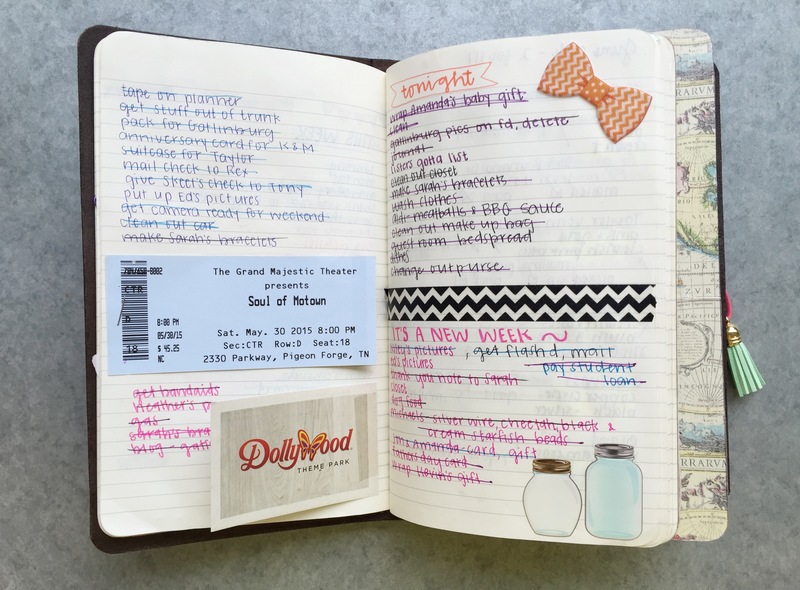 Today, I’m sharing a look inside my traveler’s notebook! 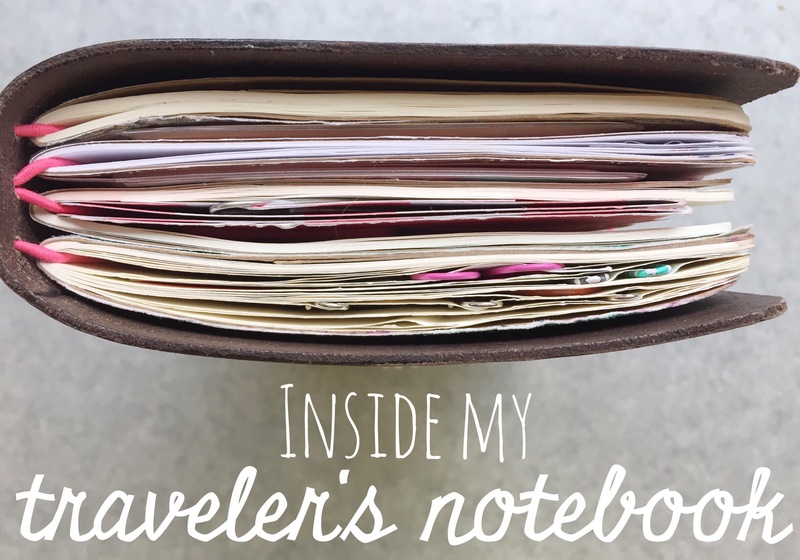 If you haven’t heard of traveler’s notebooks before – beware – because when a dear friend of mine first told me about these addictive little devils six months ago, I had no idea what an obsession it would quickly become. The most famous kind of traveler’s notebook originated in Japan and can be quite pricey, but as they’ve gained popularity in America, many small business owners have learned the craft and created beautiful pieces that are much more affordable and just as wonderful as the Midori (hence the names Pelle Dori, Faux Dori, Foxy Dori, etc.). Traveler’s notebooks come in all different shapes and sizes and literally beg to be customized. In reality, it’s only a piece of leather and a few pieces of elastic string. Who would have thought that something so simple could be so wonderful?! My traveler’s notebook is from an Etsy shop called “The Foxy Fix” (Foxy Dori) and the lady who makes them is incredible. She was so sweet to me, quickly responded to my emails, cleared up all questions I had about sizing, and I could just tell that she really puts her heart and soul into the craftsmanship behind the beautiful, handmade leather books. At first, I was a little confused about sizing, because they kind of have weird names, but I knew I wanted a size that fits a Moleskine Cahier notebook because they’re a great size for journaling or list-making and can conveniently be picked up at Target in a pack of three. The size I have is called a “wide” with quad strands (meaning there are four strands of elastic inside for books) and a single strap (one elastic band holding it all together on the outside, compared to a double strap). There are several colors of leather to choose from and the beauty of the imperfections really do make it your own. I chose “Tatonka” and pink elastic straps (“G” in the sample photo shown below). Ok! Now that all the logistical parts of this little adventure are out of the way… let me show you my little treasure. 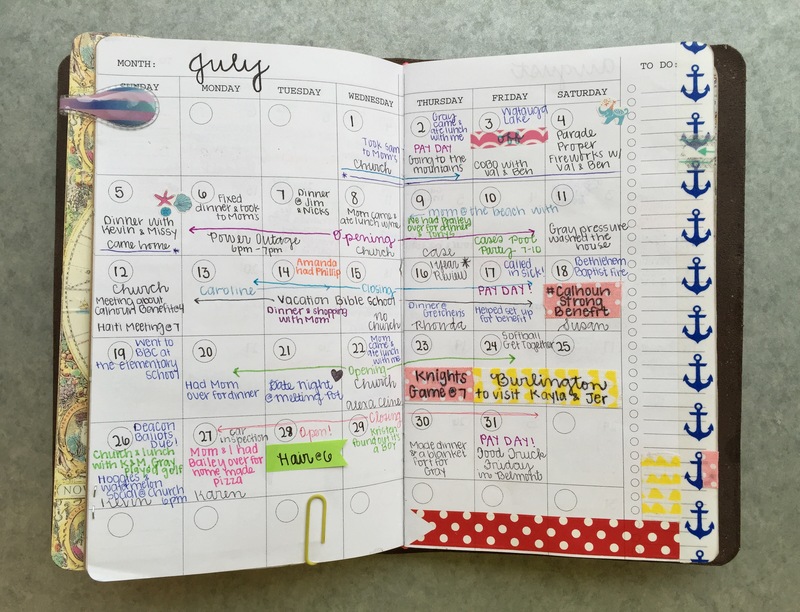 Seriously… I have always been a planner snob, but I can’t say enough good things about this. You can choose any kind of charm you’d like and I change mine out all the time, but right now I just have a mint tassel that I picked up at Michaels. The charms can easily be attached by simply untying the outer elastic strap (or some charms have little clasps). all in one place. They can easily be removed by slipping them off their strap, which comes in very handy when I want to take just one small book into the store with my grocery list instead of the whole thing. First, I have my book containing to-do-lists, grocery lists, and bracelet orders. It is a Moleskine Cahier notebook covered in a textured, teal wrapping paper with fabric washi tape on the binding. I cover the books by tracing them on the paper, cutting it out, and then using rubber cement to adhere the paper to the book. If you used only Moleskine Cahier notebooks in a traveler’s notebook this size, you could fit eight books total inside by using a rubber band to connect two books together at the spine, having then two books per strand. I, however, have two inserts in mine that share strands with a Moleskine Cahier notebook. First, I have this pocket organizer, made out of a file folder. The same dear friend of mine who introduced me to the traveler’s notebook made this for me. You can see a tutorial for something similar here. 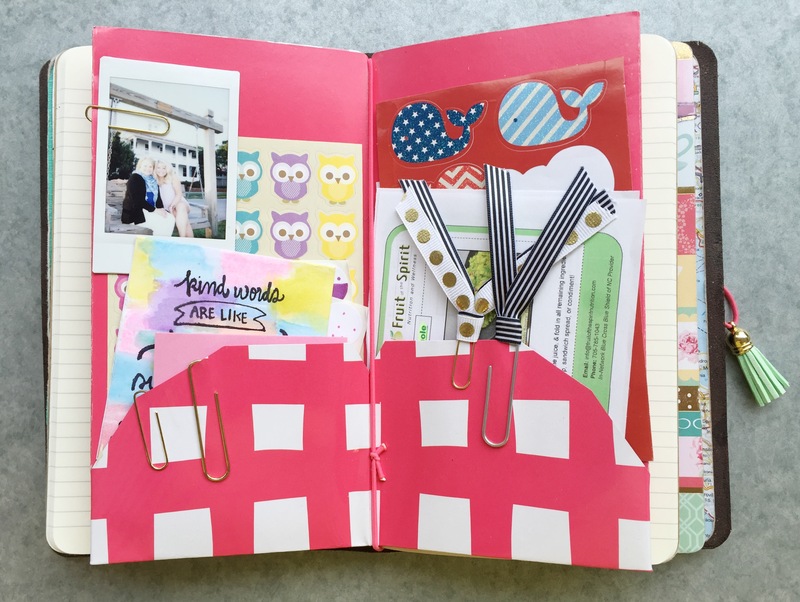 I love this because it’s a place to keep stickers, washi tape, recipes, and all sorts of things that I use to decorate my planner. It fits inside of my journal on the same strand, so when I want to write in my journal I just slip it off the strand, leaving the pocket organizer in place. Next, on the third strand, I have a clear pocket organizer from the Goutlet Pen company, called a “card file” (regular size, $7.20 for 12 pockets) and my calendar (cahier size, $9 for 13 month calendar), which is from an Etsy shop called Yellow Paper House. 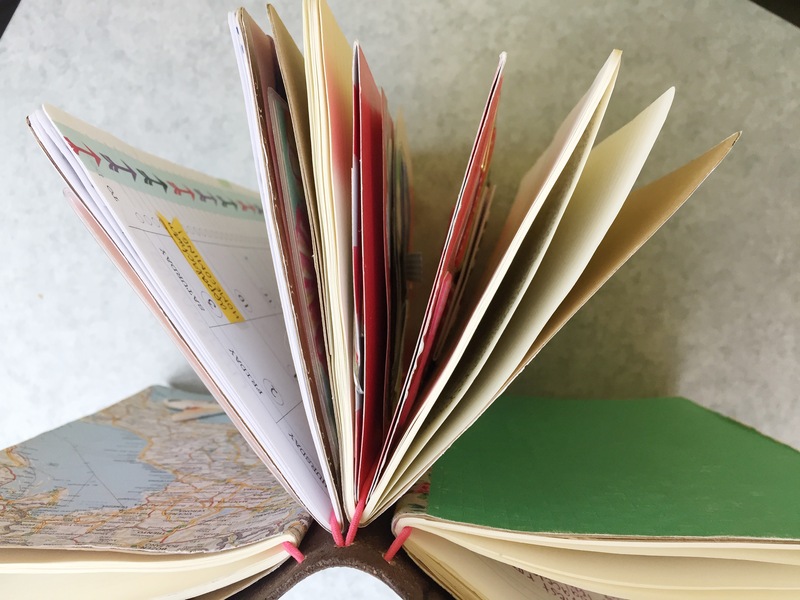 Yellow Paper House is one of my favorite Etsy shops because there are a ton of different varieties of calendars and lots of options for page colors. 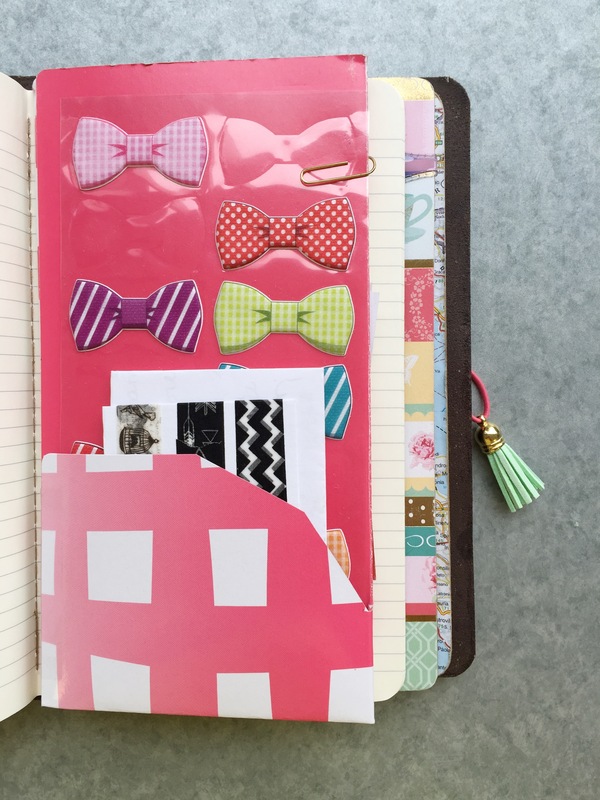 I chose white pages because I like to color-code with pens and use washi tape to mark important dates. I found cute patterns on Pinterest (and yes, most of them are Lilly Pulitzer), printed them off, and cut them to fit snuggly in the pockets of the card file. This makes it much easier to see what is in the pockets (compared to getting the front and back pockets confused because they’re see-through). In these pockets, I keep things like a snapshot from my polaroid, some strips of washi tape, business cards, stamps, and sticky notes. 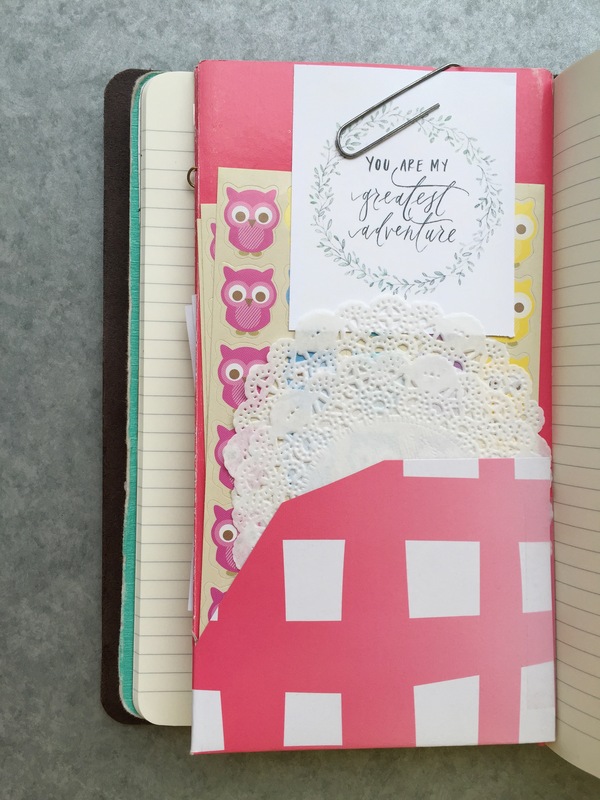 Like the file folder pocket organizer and my journal, the card file and planner share a strand. I covered my planner with scrapbook paper and when it arrived in the mail, the inside was completely blank. I labeled each month and day by hand with a felt-tip pen, and was able to totally and completely make it my own. The whole thing is like an empty canvas, just waiting for it’s owner to get creative. I love it! The last book in my traveler’s notebook is where I keep track of my pen pals and pocket letter pals (which is another topic for another day). I covered this Moleskine Cahier notebook in a real map, and attached this little airplane with super glue. If you have any questions, please don’t hesitate to ask… I could seriously talk about this thing alllllll dayyyy longggg. 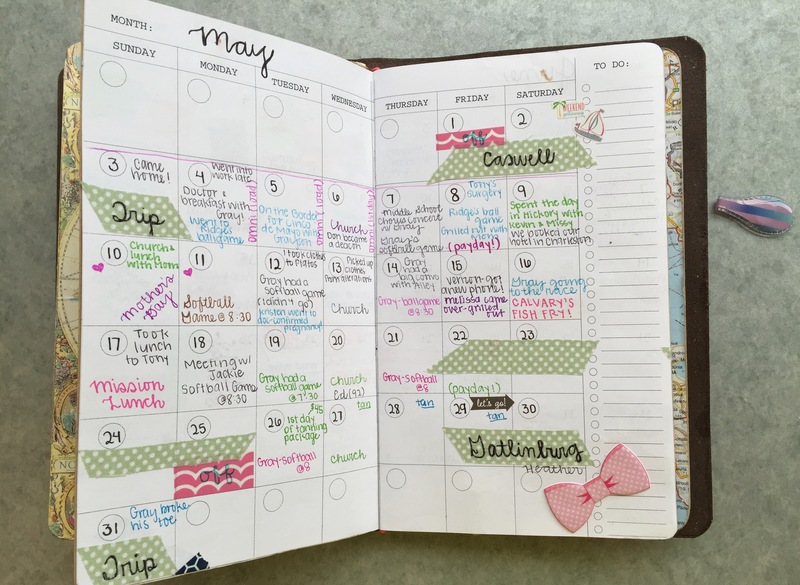 Happy planning, girlfriends! When your heart is breaking, when friends hurt you, when you are overwhelmed… He is all you need. Under His wings you not only find refuge, you find strength, forgiveness, love, and joy that can only come from Him. Keep on keepin’ on. Fight the good fight. I was so pleasantly surprised by this recipe. These bad boys are GOOD (and knowing they’re a healthy alternative to tacos makes them even yummier!). First, preheat the oven to 400 degrees and cover the bottom of a 9×13 baking dish with the 1/2 cup salsa. After cutting the zucchini in half lengthwise, use a spoon or melon baller (if you’re super fancy) to hollow them out, leaving about 1/4 inch so they keep their shape. Chop some of the zucchini filling and squeeze excess water with a paper towel. You should have 3/4 cup, which you’ll add to the cooked turkey meat. 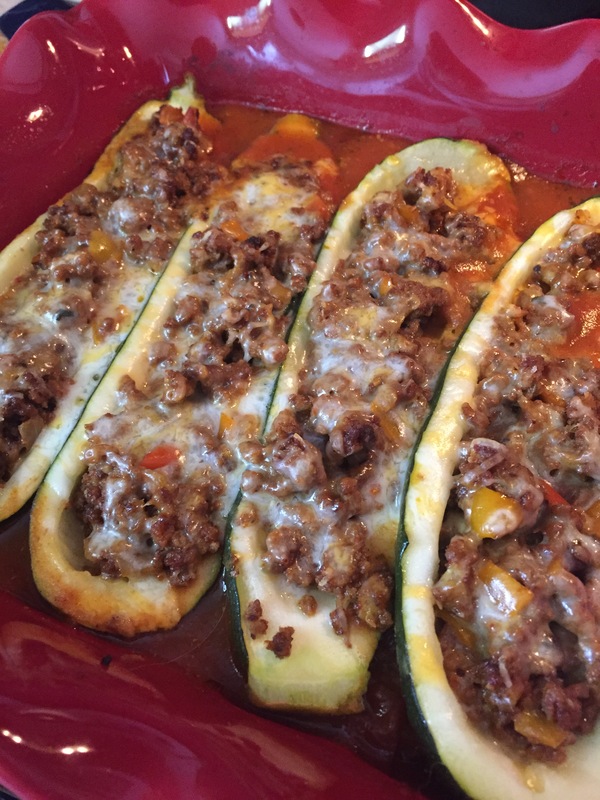 You can just discard the rest of the zucchini filling, or save it to use for another recipe! Drop the zucchini halves into salted boiling water for one minute, then place in the baking dish on top of the salsa. In a large skillet, brown the turkey, breaking it up as it cooks. When it is no longer pink, add your onions, peppers, water, tomato paste, 3/4 cup zucchini filling, and spices. Let simmer for about 15 minutes. Using a spoon, fill the hollowed zucchini boats and top with cheese. Serve immediately. I would recommend topping with sour cream and chopped scallions or cilantro (I didn’t have these things on hand but I bet it would be delicious). What do I love most about zucchini boats? They are so easy to change up for a totally different taste. You can find two other zucchini boat recipes I’m just dying to try here and here.